Texas has approved a online handgun license class to qualify for a Texas license to carry. You no longer have to spend hours in a crowded classroom on the weekend. 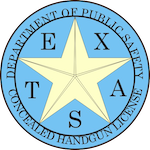 Anyone from anywhere in Texas can take our Texas online handgun license class to qualify for your Texas LTC. After taking our online course, you simply use any local LTC instructor in your area for the shooting portion. It has never been easier to get your Texas license to carry. Our online handgun license class is super easy and on a basic level. We are professionals when it comes to explaining Texas LTC laws. We have been teaching LTC classes in Texas for years. 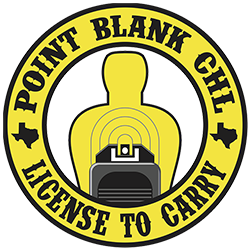 Point Blank CHL is proud to be one of the first State approved online course providers. No one has ever failed our LTC class. Active duty military and veterans that are exempt from the shooting potion can take our online handgun license class from anywhere in the United States. To be exempt from the shooting portion you must have shooting scores dated within the past 10 years. They will also accept proof of firearms familiarization training dated within the past 10 years. If exempt from the shooting, all you need is our Texas online handgun license class. We are proud to be one of the first LTC online course providers approved by the Texas Department of Public Safety. Texas approved online training in 2017 and it has taken until 2017 to put the course together and get it approved by the State. The online handgun license class is finally here and it’s now easier for everyone to get their Texas LTC. If you are ready to take the online class, click the get started link below.